There are many Frequently Asked Questions explained below but please get in touch if you don’t find the answer you’re looking for and we will be delighted to help you. Will I have to travel on my own? You contact the airline of choice to check if they offer in-flight assistance service. You get in touch with us and ask for a quote for our private in-flight assistance service. How do I get to Bundoran? The easiest way to get to Bundoran is by bus. The national bus company, Bus Éireann, provide a direct bus service from Dublin Airport every 2 hours between 7.50am and 12.20 midnight. The route to Donegal is Route 30 and it departs from Zone 11 outside Terminal 1. The destination is Ballyshannon. Link to updated timetable. Alternatively, there are many car rental companies at the airport where you will be able to find reasonable daily, weekly, and monthly rates. Link to sample car hire IMPORTANT NOTICE: Students over 16 years old who come individually will have to make their own way to Ballyshannon, the town next to Bundoran, where a member of our staff will pick them up and bring them to their accommodation. If you require our assistance for airport transfers, you can contact us for a quotation. Groups: we offer a free pick up service for groups of over 10 students. We will meet you at the arrivals area of the airport. Private houses: we offer private accommodation within a 10min walk from the school and the centre of Bundoran. We have at your disposal 3 bedroom houses (all en-suite with electric showers) with a back garden over looking the local mountain range. Home Stay: full board is provided with an Irish Host Family within the local area (breakfast, a packed lunch and an evening meal are provided). Student welfare is our main concern and we choose our families carefully to ensure maximum comfort. All pick ups from and to the student´s host family´s house are organised by the school when needed. Residence: Bed&Breakfast + 24h access to self catering kitchen are provided at our comfortable seafront residence in the centre of Bundoran. Private or shared bedrooms are available (all our rooms are en-suite and have free WIFI access). Will I always be guaranteed my first accommodation choice? It depends on availability. Bundoran is a very busy town from May to October so accommodation can be limited within those months. *NOTE FOR BOOKINGS IN JULY AND AUGUST: as July and August are high season we advise you to book as early as possible. For students under 18 years of age: our most popular accommodation choice is with a host family. However, we have a limited number of hosts and we assign them on a first-come, first-served basis. If all host families are taken by the time you book, you can avail of our residential accommodation where you will share the space with young people your age from different countries and a fully qualified vetted supervisor. For adults we have many different accommodation options in the area: host families, B&Bs, self-catering apartments, budget hostels, and 4 star hotels. We will always try to suit your preference when possible, but we recommend to book well in advance to avoid disappointment. For under 18 year old students: our residence usually operates to the maximum capacity during the summer months so, if you are doing our residential programme, you will most likely have to share a room with one or two people. But don’t worry, the rooms are very spacious and you will always stay with people the same age and gender as yourself. If staying with a host family, you can request whether you want to share a room or not. For adults: we will cater for your needs. You will always have a choice of having an individual room or you can opt for the cheaper B&B option of sharing. If staying in self-catering accommodation, we can also offer you different options. For our water activities, we meet at TurfnSurf surf school where they provide equipment such as wetsuits before driving us in their jeeps to the activity location. All our creative workshops take place at ID Languages except for dancing which takes place in The Studio, Retail Park Bundoran. You will need a swimming suit, flip flops, and a towel for the water activities. If you are going hiking that day, you will just need a waterproof jacket and comfortable shoes. For the creative workshops, you just need to bring comfortable clothes and shoes because we will be moving a lot. You can bring a notebook if you want, but the school will provide paper, pens, and all other materials needed. Students under 18 years old: you will be on a full board programme so all your meals will be provided by your host family or the in-house chef if you’re staying in our residence. We usually have lunch together at our favourite local cafe Caroline’s Cafe. Students over 18 years of age: you can be on a full-board programme if staying in our residence, in which case our in-house chef will provide your meals. If choosing the Host Family Programme, they will prepare your meals for you. If in self-catering accommodation, you will have to cook for yourself. B&B accommodation offers breakfast every day and have cooking facilities of which you can avail. WHAT IS THERE TO DO IN BUNDORAN?  Our friends from Discover Bundoran can help you on that one: their Website includes a listing of all the wonderful businesses in the area, who provide services of all kinds: activities for the family, restaurants, shops, music venues, events... Follow them on social media and get daily updates!